Enagás has requested a divorce proceedings before the ICSID against the Peruvian state after negotiating for six months without success to reach a friendly agreement in relation to the company’s investment in the Peruvian South Gas Management Project (GSP). According to a relevant event of the CNMV gas and transportation system, this announced at the beginning of the year the Peruvian state the existence of this controversy under the terms of the agreement on marketing and mutual protection of investment as signed between the Republic of Peru and the Kingdom of Spain. The group led by Antonio Llardén has adopted this decision in order to recover its investment after the Government of South America will withdraw the concession for the project at the beginning of the year and to celebrate the announcements of necessary auctions for the return of the project before the deadline set on January 24th. The conflict lies in particular in the Peruvian Government’s dissatisfaction by acknowledging the validity of Clause 20 of the GSP Concession Agreement, whose application results in Enagas right to recover the investment made in the project. On January 24, the termination of the GSP concession agreement was declared. In this case, paragraph 20 of the concession agreement stipulates that the donor must continue to auction the concession within one year of termination and with the amount received in the auction, the contributor must pay the concessionaire up to a maximum of the book value of the concession’s assets less the costs incurred in the auction process . In this way, the donor guarantees at least 72.25% of the net assets of the concession assets. Peru pulled the GSP project concession after the problems to close its funding because of the corruption scandal On its majority owner, Brazilian Odebrecht. According to the current fact, the company continues to be confident in reaching an agreement that will terminate the arbitration proceedings initiated today and for this purpose, it is available to the state to initiate necessary contacts. to reach a friendly solution. 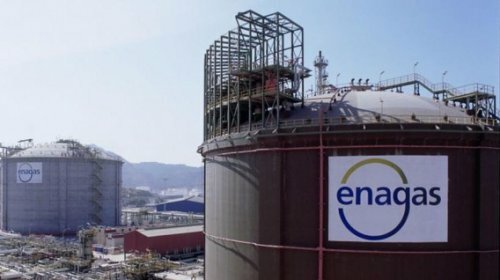 On the basis of the analysis and expert reports conducted by its external legal and financial advisors, Enagás believes that it would regain the investment made in GSP over a calculated period of three years and ratify the performance development targets after tax (BDI) during the current fiscal year.